Most recently, Ashkan was one of the architects of the sweeping privacy legislation, the California Consumer Privacy Act, that passed in California in 2018. Ashkan has more than 20 years of experience as a consultant and researcher focused on technology, privacy, and behavioral economics. His work has informed policy debates on privacy and security and has been cited by several national media outlets. Ashkan is a co-author of the Washington Post’s NSA series that was awarded the 2014 Pulitzer Prize for Public Service, a 2014 Loeb Award, and a 2013 Polk Award for National Security Reporting. He was also a researcher for the 2009 Pulitzer-winning story, One Man’s Military-Industrial-Media Complex, and the technical consultant for the Wall Street Journal’s What They Know series, which was a finalist for 2012 Pulitzer Prize for Explanatory Reporting and won the 2010 Loeb Award for “Online Enterprise”. 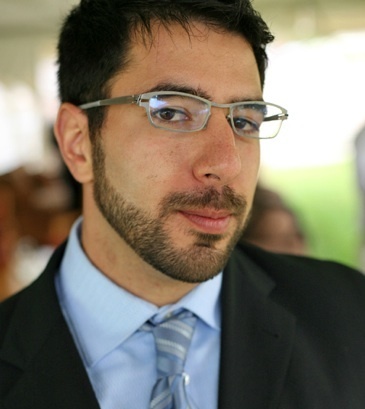 As part of his work to contribute data and technical insight to policy debates, Ashkan has co-authored several academic papers. His master’s thesis, KnowPrivacy, became the basis for the “What They Know” series and was followed by Flash Cookies and Privacy, and Flash Cookies and Privacy II (addendum here), and Behavioral Advertising: The Offer You Cannot Refuse. “Behavioral Advertising” won the 2014 Computers, Privacy & Data Protection Multidisciplinary Privacy Research Award. He also co-authored “Tiny Constables and the Cost of Surveillance: Making Cents Out of United States v. Jones,” an analysis of the dropping costs of surveillance which was published by the Yale Law Journal in 2014. Ashkan has served as a technical expert to a number of consumer protection agencies, including the FTC and State Attorneys General. In 2015, he was appointed as the Chief Technologist of the Federal Trade Commission where he helped establish the agency’s Office of Technology Research and Investigation. He has helped lead investigations into Google, Facebook, Twitter, HTC, and PulsePoint. In the past, he has served on the Technical Advisory Board for the Freedom of the Press Foundation. Considered one of the leading experts on privacy and security, Ashkan is frequently interviewed by major media outlets including 60 Minutes (CBS News), PBS’S Frontline, and National Public Radio. He also organizes the famous Tech Policy Happy Hours in DC, NY, and SF. If you’d like to attend, just email.